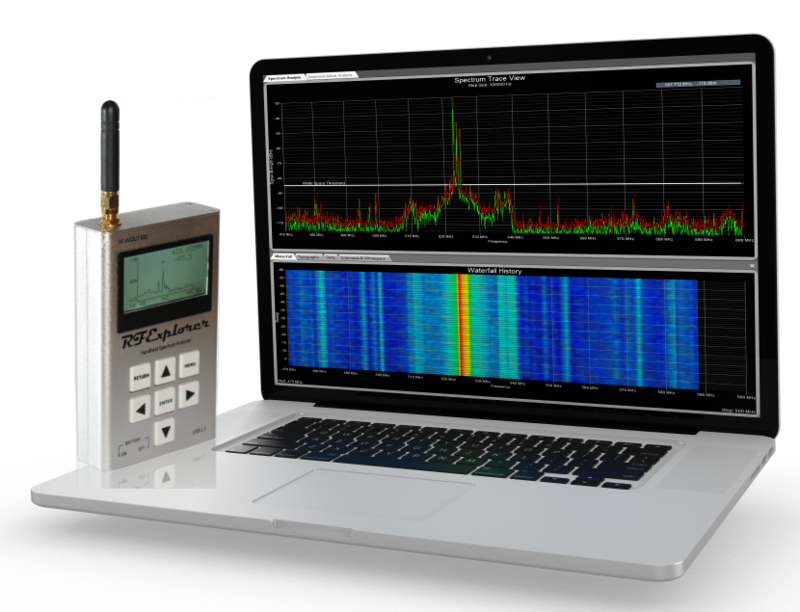 RF Explorer is a new series of low-cost, portable, RF spectrum analyzers designed by Arocholl that are available in a variety of frequency ranges. Nuts About Nets has been developing diagnostic tools for troubleshooting wireless networks for a number of years and when RF Explorer was first introduced to us we were extremely impressed. The price-performance of these RF spectrum analyzers is truly remarkable and is the best, by far, on the market -- nothing else comes close. These RF analyzers operate both standalone as handheld devices, plus they interface via USB cable to a PC running more sophisticated data acquisition and analysis software. Prices for these RF spectrum analyzers (including PC software) begin at $119 USD -- which is unheard of in the test equipment industry. The RF Explorer series of analyzers re-defines the handheld, portable RF spectrum analyzer. The unit is small and light-weight, yet offers performance and features comparable to larger, more expensive devices. When designing, installing or troubleshooting wireless systems it is very difficult to predict the propagation of radio waves and detect the presence of interfering signals without the use of diagnostic, test equipment. Radio waves don’t travel the same distance in all directions — instead walls, doors, elevator shafts, people, and other obstacles offer varying degrees of attenuation, which cause the Radio Frequency (RF) radiation pattern to be irregular and unpredictable. In order for a wireless system to achieve optimal reliability and throughput it is necessary to detect and identify sources of interference that affect its performance. 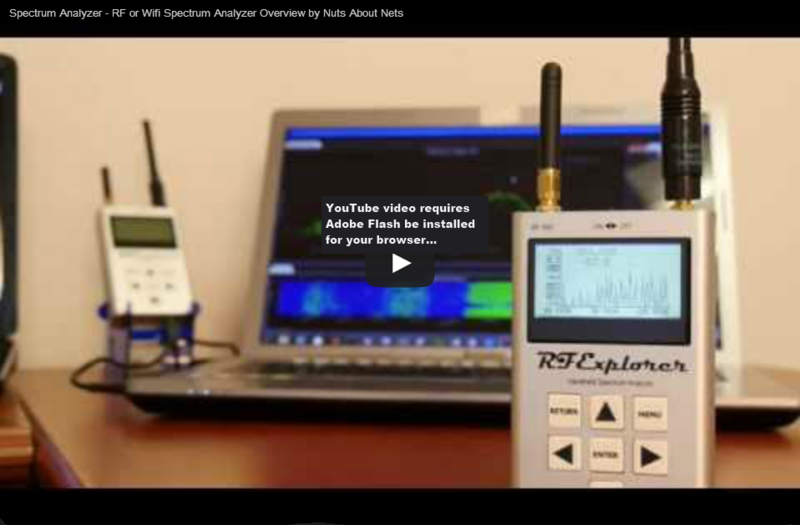 Enter RF spectrum analyzers -- the tool of choice for monitoring wireless systems. Check-out RF Explorer's features, specifications and prices. We think you will be pleasantly surprised, just as we were. Can interface to Windows and MacOS laptops, and Android devices running data acquisition and analysis software. 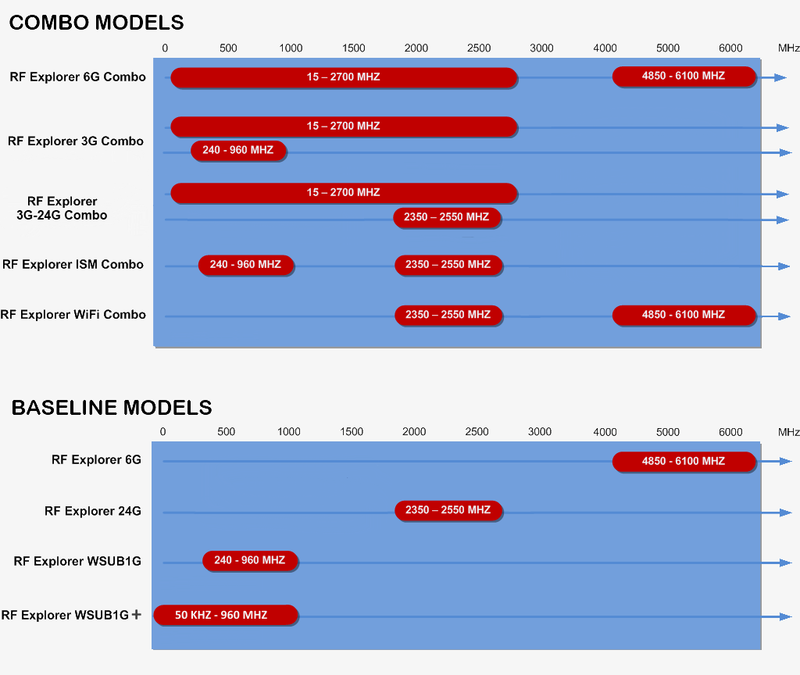 Wide band coverage includes: all popular sub-1Ghz ISM bands, 2.4x GHz ISM band (Wi-Fi, bluetooth, Zigbee), 5.x GHz ISM band (Wi-Fi) -- with maximum frequency reaching to 6100 MHz.